On Saturday 15 September 2018 thirteen members of the Arran Natural History Society enjoyed a visit to Machrihanish Seabird Observatory. This was part of the summer programme of activities for members that included a bird ringing demonstration in Auchenhew Bay in June and a flora walk in Glen Rosa in July. The observatory, which has been open for twenty-five years, is about six miles west of Campbeltown on the Atlantic coast on Uisaed Point. Landmarks that can be seen from the observatory include the top of Davaar Island (8 miles to the east), Altnacarry Lighthouse on Rathlin Island (16 miles to the west / south-west) and the American Monument on the Mull of Oa, Islay (20 miles to the North-West). It is an awe-inspiring promontory to witness visible migration and occasional mass movements of seabirds. Regular Atlantic depressions frequently produce the right conditions to view and record detailed information about ocean-going species and coasting migratory landbirds. 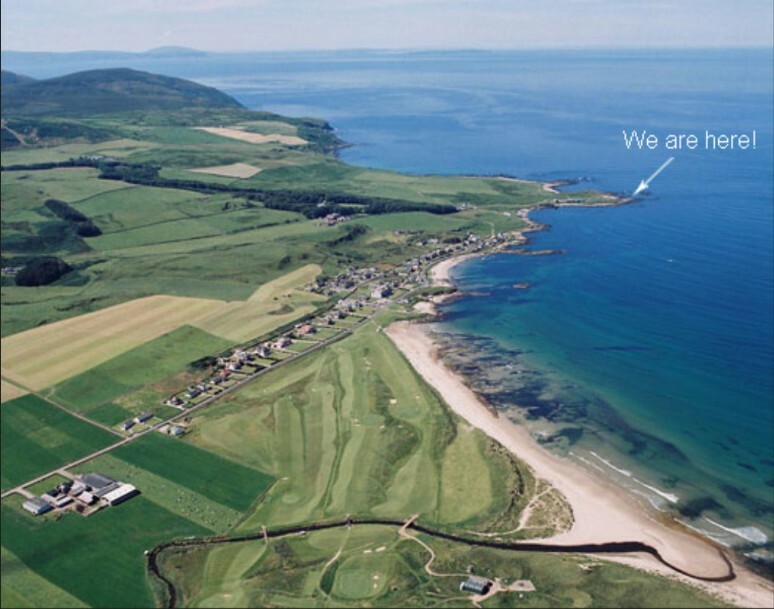 Situated at the southern end of Machrihanish Bay, this low promontory juts well out into the Atlantic. The configuration of the coast to the north presents a long leading line from Glenacardoch Point ensuring – when conditions are right – a steady passage of birds. Throughout autumn, the southerly progression of seabirds, waterfowl, waders and passerines brings many species close to, and often over, the point as they exit from the bay, thus affording superb views. 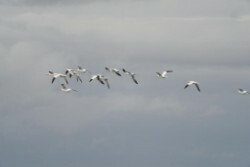 After a welcome and introduction to the observatory by the warden, Eddie Maguire, the group enjoyed a few rapidly passing hours of wildlife watching that included thirty-two species of bird and a passage of two hundred and eighty-five Gannet. 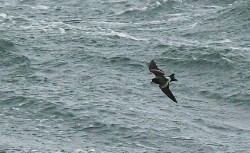 The following day on the Sunday the warden reported a passage of twenty-one Leach's Petrel, a species last recorded on Arran in September 1991. That's bird-watching! Although the group had missed out on some of the rarer passing seabirds, the verdict on the day from the participants included expressions like "fabulous day out", "great place", "enjoyed all aspects of the day" and "definitely a place to revisit".